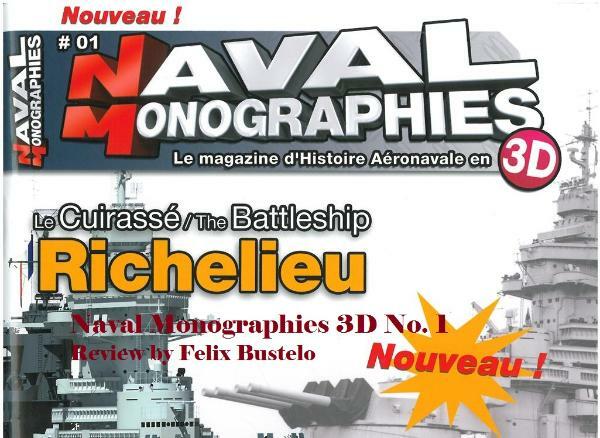 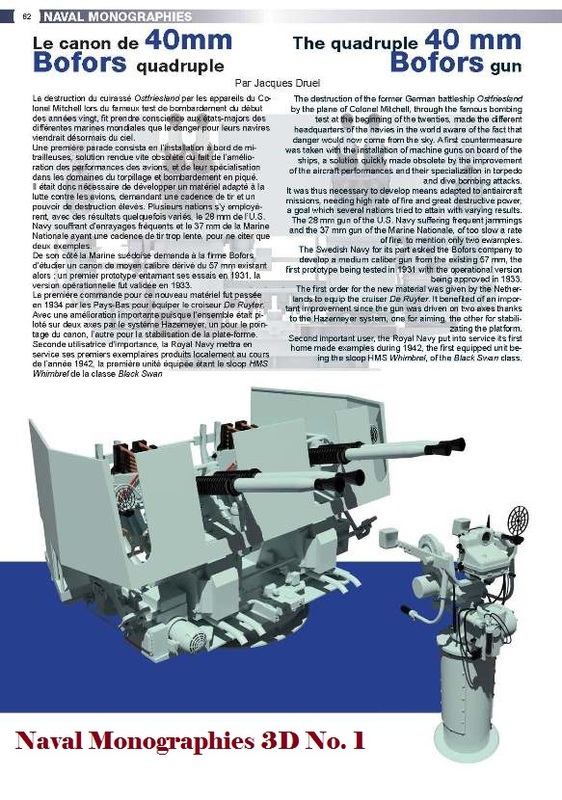 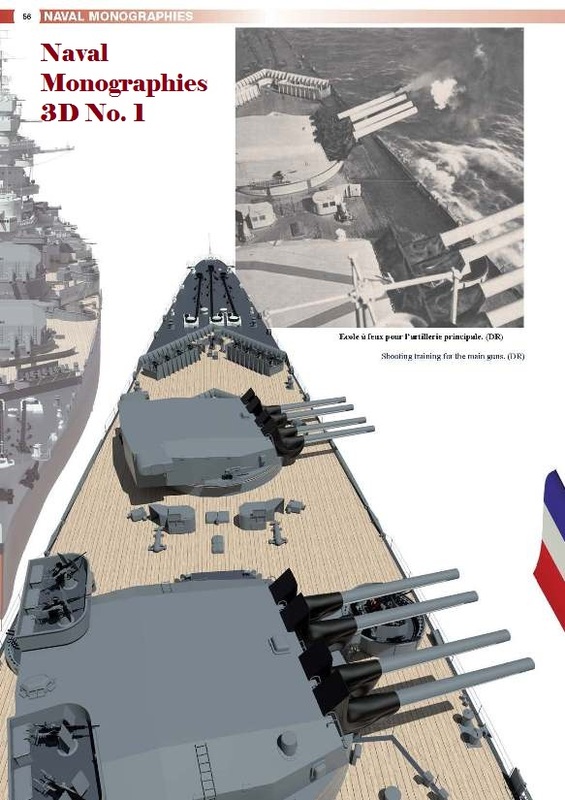 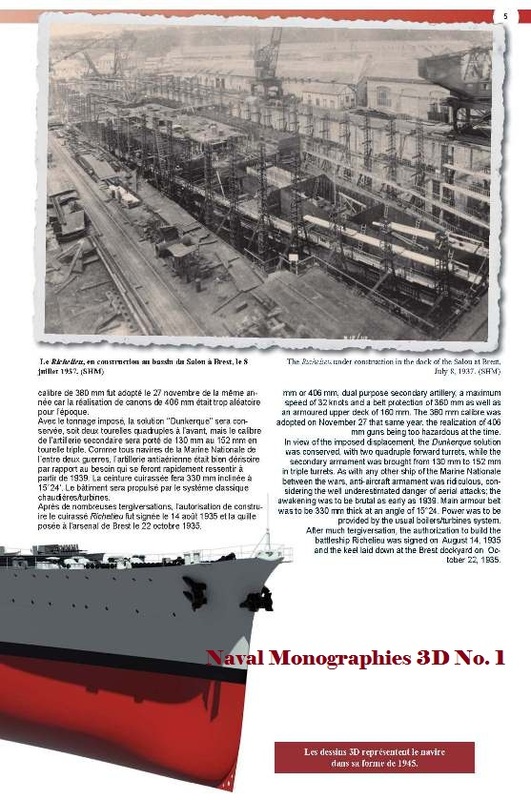 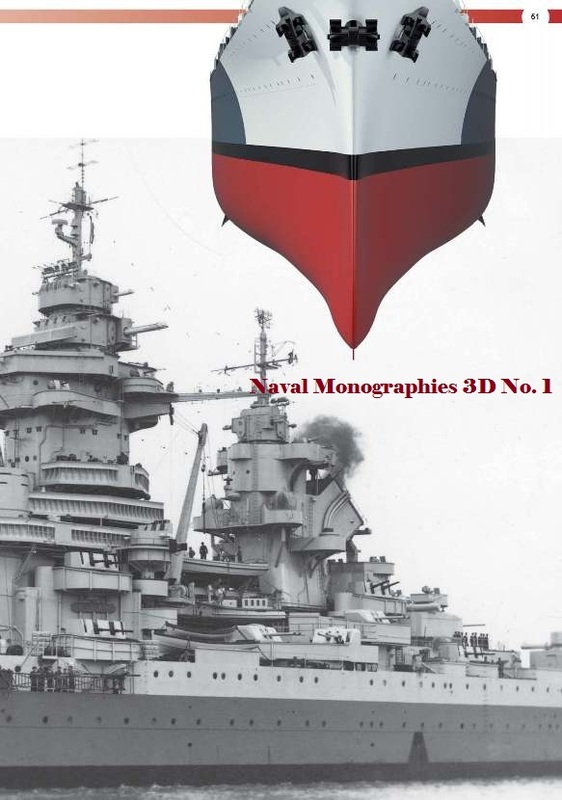 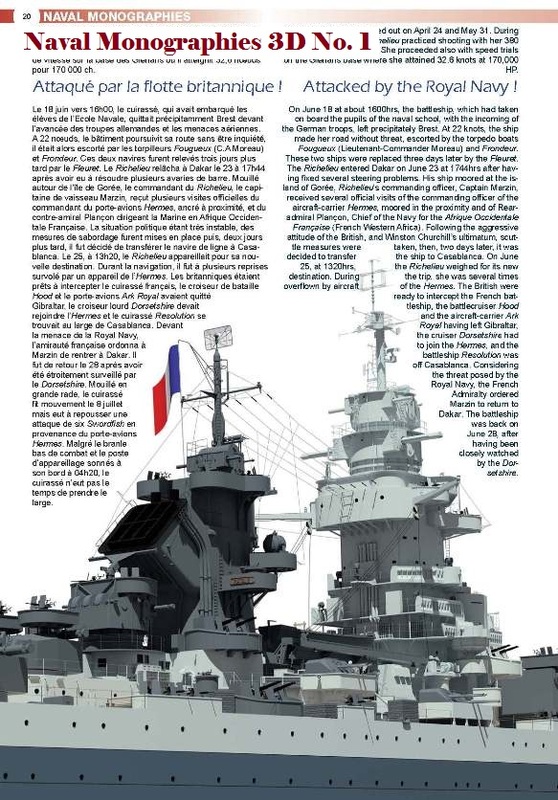 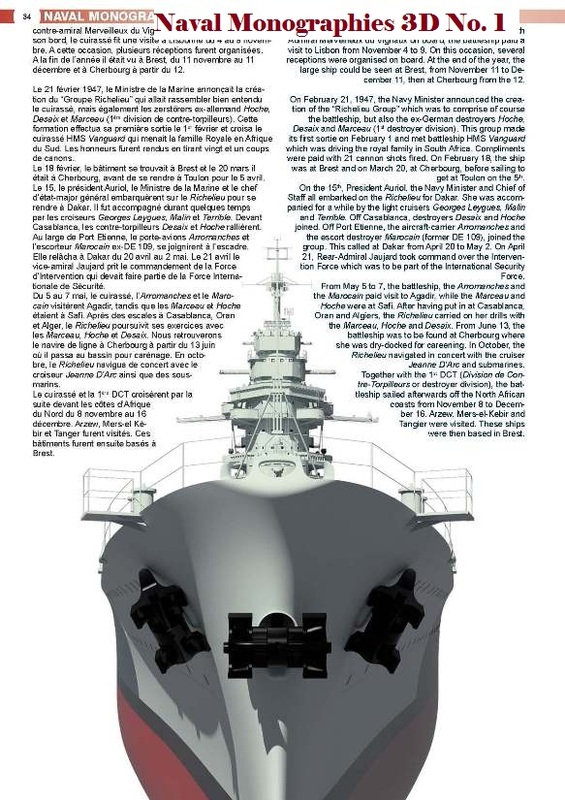 quarterly series is called Naval Monographies 3D and the subject of the debut issue is very apropos – the French battleship Richelieu. 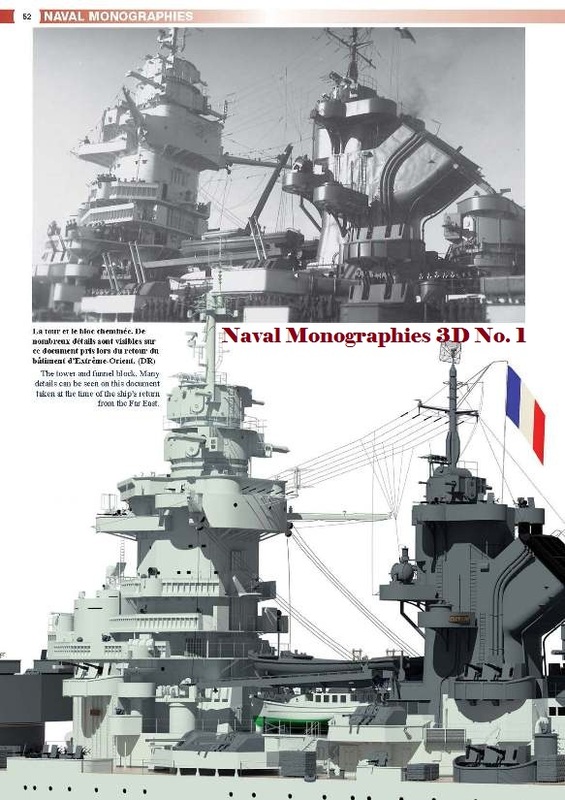 Richelieu does not include the twelve 100mm cannons in double mounts that this ship had but these are included in the French language table on page 8. 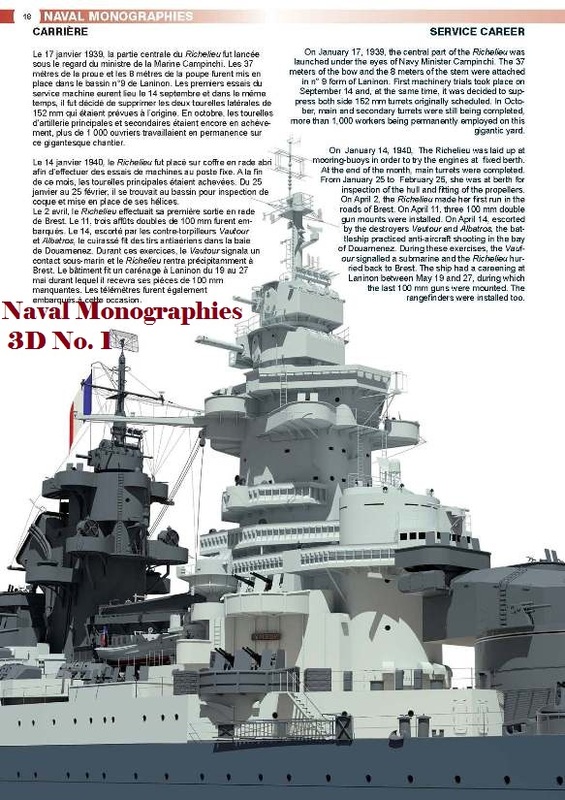 Overall this debut issue is a winner and the series promises to be an excellent new resource for ship modelers and enthusiasts. 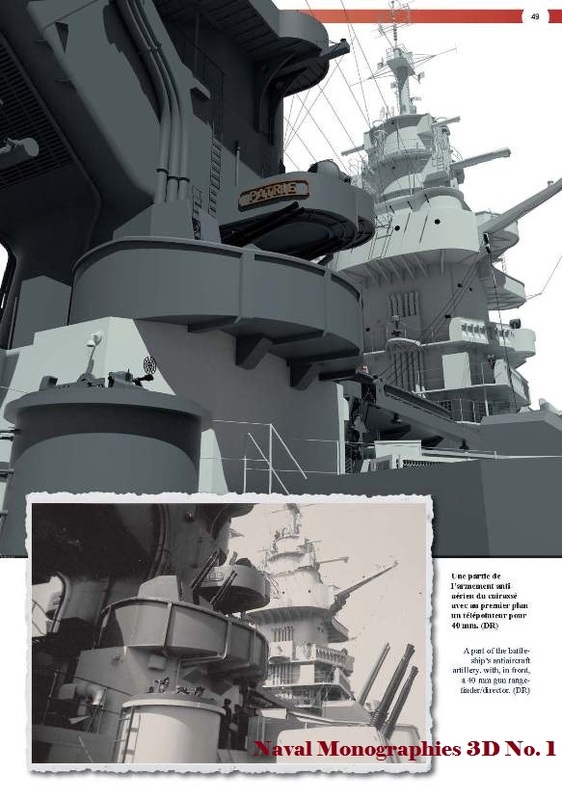 I know what the subject of the next two issues will but I am sworn to secrecy. 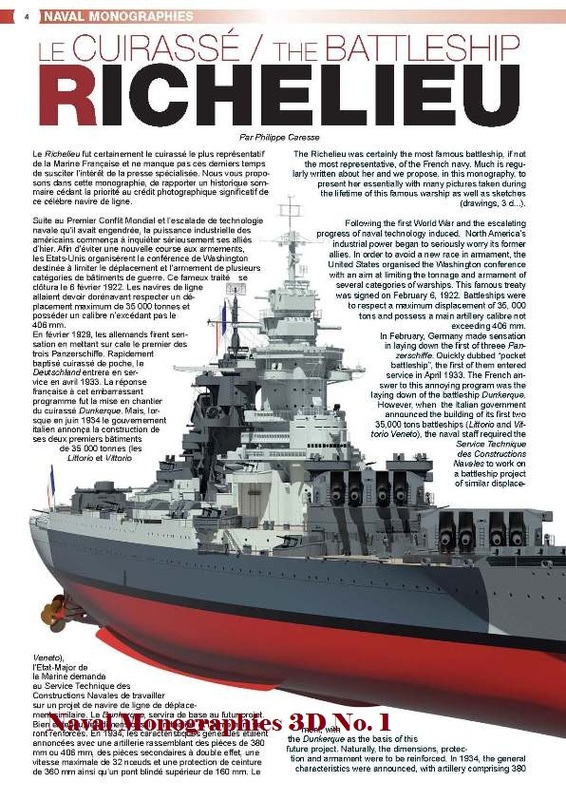 I can tell you that they will make many of you very happy. 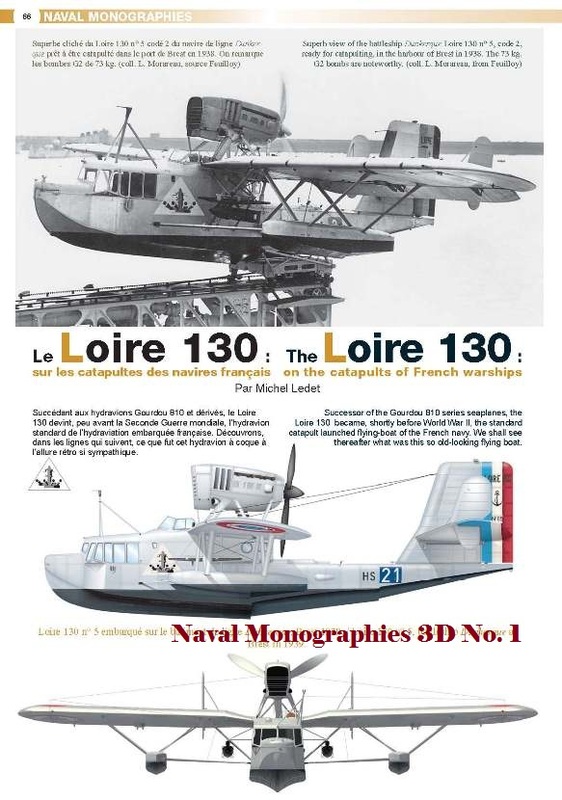 My thanks to LELA Presse (http://www.avions-bateaux.com/) for the review sample.